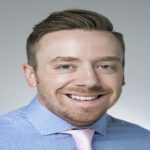 Dave Jansen is a Senior Consultant at The Wilshire Group with over 8 years of Epic Health Information Technology (HIT) experience, specializing in hospital coding, reporting/analytics, system optimization, and overall gains in Health Information System (HIS) efficiency. Dave has a background as an Epic Project Manager focused on installing all HIS modules, integrating with document imaging & transcription vendors, as well as optimizing existing clients. Due to his keen eye for spotting & rectifying inefficiencies, Dave was tasked with developing & managing the HIS department’s process improvement projects. As a Senior Consultant, his focus has spanned many areas including: implementation & optimization of coding and Simple Visit Coding across a dozen hospitals for a single healthcare organization; development & management of a candidate for billing (CFB) reduction effort; development of standardized workflows, build, and training for a 20+ hospital healthcare organization; extensive review & development of reporting processes and tools to assist with daily operational duties & CFB management; extensive documentation & enhancement of a healthcare organization’s legal medical record. Additionally, Dave spent some time outside the healthcare arena where he focused on project and change management of multiple rollouts of new information technology systems while leading continuous process improvement efforts. As a part of these projects, Dave conducted business process mapping to standardize all workflows, work streams, and deliverables across departmental projects. This experience has complimented Dave’s expertise with issue and workflow resolution in the healthcare HIT space. In a dynamic healthcare industry with a continually evolving EHR, Dave works with you to deliver data-driven solutions that address operational and end-user needs, while promoting efficiency, maintainability, and reporting transparency. Dave received his BA in Risk Management & Insurance from the University of Wisconsin Madison. He is also Change Management certified through PROSCI.